During a recent one-year sabbatical, I took my family on a trip around the world. We went surfing, scuba diving, and snorkeling wherever there was an ocean. What really astonished us all was the amount of plastic and garbage floating in the surf breaks after every rain. I wasn’t as surprised as my children. Over the past 35 years, I’ve watched our oceans become increasingly contaminated as I travelled the globe to serve Aqua-Guard’s clients. After we returned to our family home in North Vancouver, we wanted to raise awareness around the world about the real condition of our coasts and oceans. We decided to build an app that could crowdsource data about local beach conditions in real time, an app that could make that information available to everyone so that we can all be making better decisions about what we do every day that impacts this most precious resource. We called the app TruBeach. 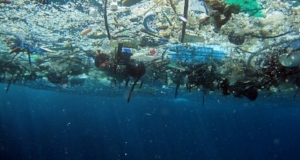 The solution is, after all, not just to start cleaning up our oceans. We have to stop pollution at its source. Trubeach will help communities see the impact industrial and residential waste is having on their local shorelines. And with trash and plastic no longer out of sight, it will no longer be out of the public’s mind. We hope that will drive many communities, especially ones that rely on tourism, to become more environmentally responsible. I invite you to download Trubeach, take a photo of a shoreline and post a review. By doing so, you’ll actually become part of a huge growing movement to help save our oceans.